and then they were allowed to rest, sip juice and nibble on cookies. 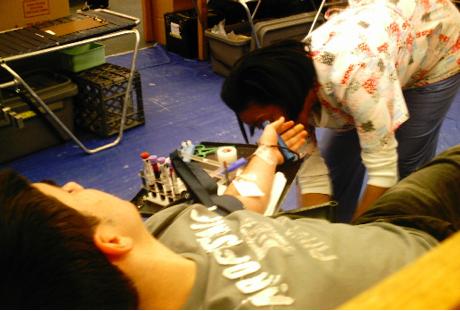 Senior Kimberly Banjoko said that, “when you first get off the chair you feel a little dizzy.” After donating you’re not supposed to do any heavy lifting for about five hours but most people reported no hindrance to their daily activities. In America, every 2 seconds someone needs blood because 1 out of every 3 people will at one point need a life saving blood transfusion. 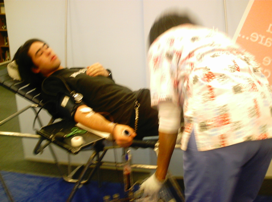 However, in America, according to the Red Cross, only 3 out of every 100 people donate blood. they’re down to a three-to-four day supply and they’ll need to start rationing the amount of blood going out to hospitals. It has yet to reach emergency levels but the agency is nervous about the next few weeks. 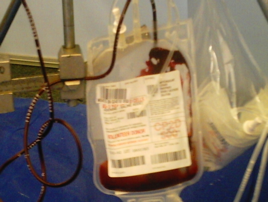 According to the NYBC the holiday season through about the second week of February are tough weeks blood supply wise. Twenty percent of NYBC’s blood supply comes from students so school vacations, like the summer months, result in a lot less donors. Volunteers are allowed to donate again in 8 weeks. If you missed the drive or were for some reason temporarily ineligible and you’re interested in saving a life please go to http://www.givelife2.com to find a blood center near your house.